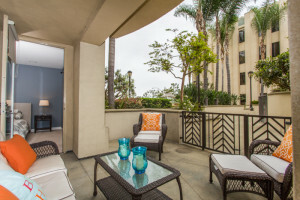 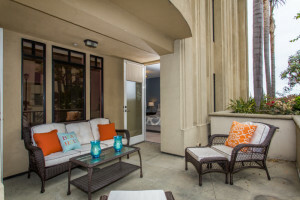 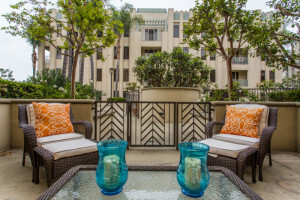 Enjoy indoor-outdoor living with this 2 bedroom unit tucked away in the more intimate South tower of The Metro. 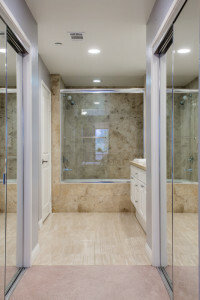 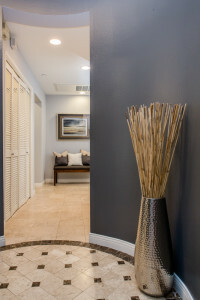 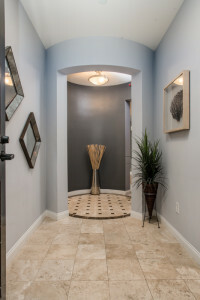 Walk in to elegant, circular formal entry with stone tile flooring throughout hallways and kitchen. 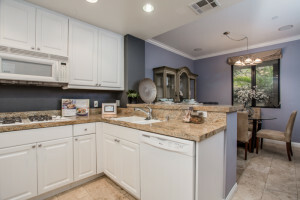 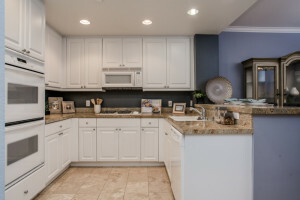 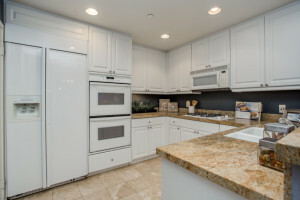 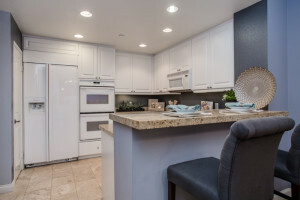 Well-equipped eat-in kitchen with granite countertops features dining area and breakfast bar plus lots of cabinet space. 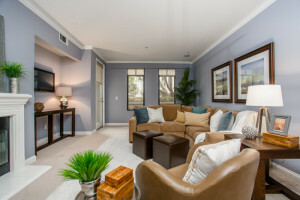 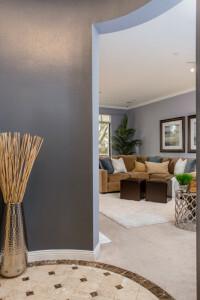 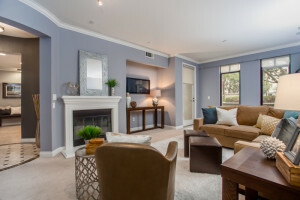 Comfortable living room has fireplace and crown moldings and opens to approx. 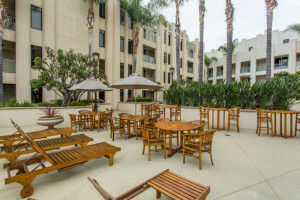 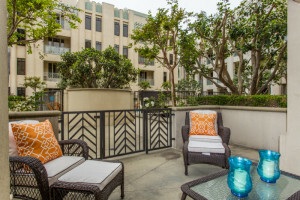 200 square foot private patio with direct access to hot tub, cold tub, and picnic area that only three others can access directly from their patio. 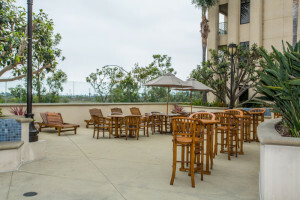 It’s like having your own backyard! 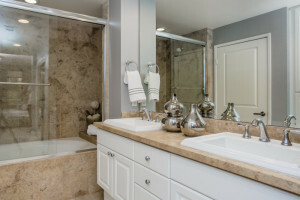 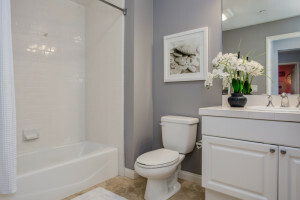 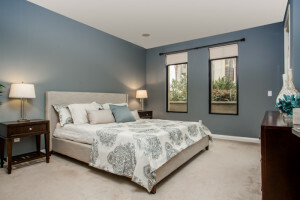 Master suite is spacious, also with patio access, and features two closets and double-sinks. 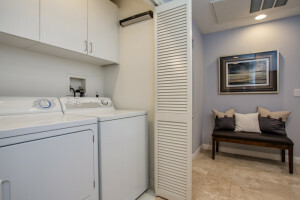 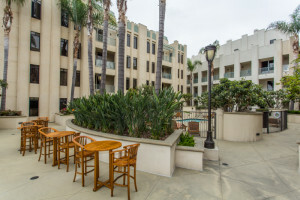 Second bedroom, full hallway bath, in-unit laundry and side by side parking complete the package. 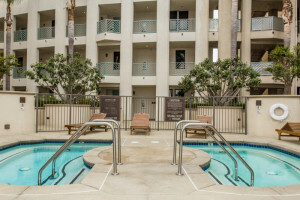 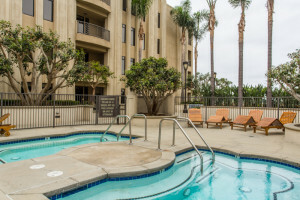 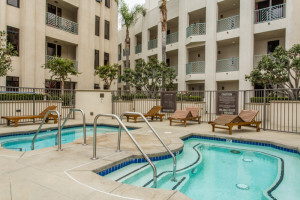 Enjoy Playa Vista amenities including two fitness centers, multiple swimming pools and playgrounds, baseball and soccer fields, basketball and tennis courts, Whole Foods, CVS, plus many new restaurants coming soon.